As I’ve mentioned in some of my previous posts I am always looking for delicious low-carb recipes. One of my weaknesses is steak and potatoes. I will eat potatoes in any form. Mashed, au gratin, baked, you name it! One of the closest substitutions that I have found for potatoes when watching my carbs is cauliflower. Last year I posted a recipe for loaded baked cauliflower. It is now by far my most popular recipe on my blog. (If you haven’t tried it, do. It is fantastic!) This is another wonderful cauliflower recipe I have been loving when I need something to replace those starchy potatoes. The mild roasted garlic flavor is not overpowering at all, and the Romano cheese is just right. These flavors really are fantastic complements to the roasted cauliflower. 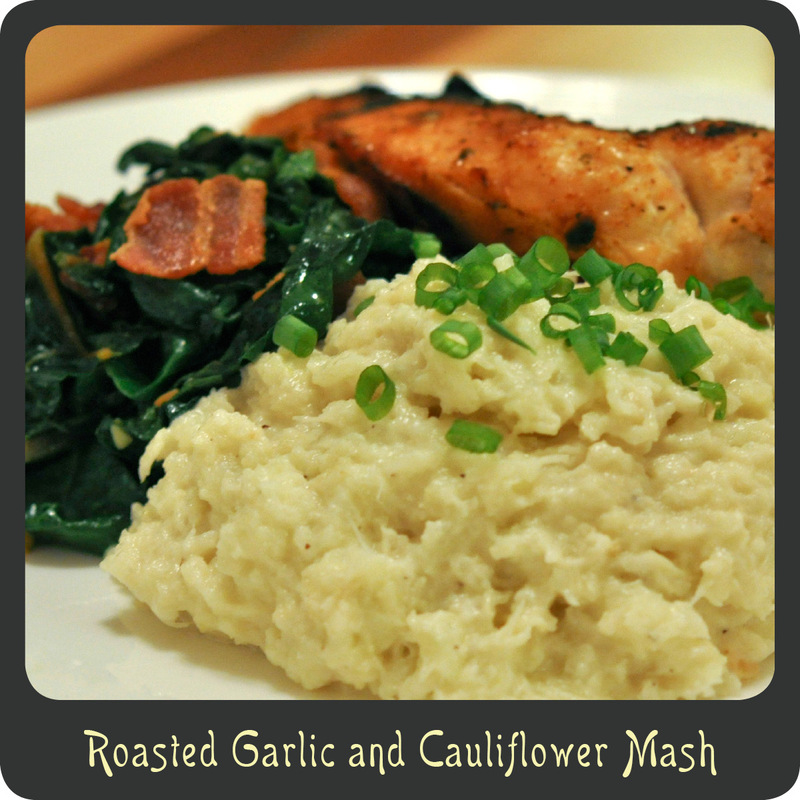 Cauliflower is in season right now so it is incredibly affordable and a great addition to your dinner menu. Note: This recipe can be made up to a day ahead of time and placed in an oven safe baking dish in the fridge until ready to eat. To reheat it, bake in the oven at 350º for 20–25 minutes or until hot all the way through. Lay out two large sheets of aluminum foil on top of each other. Place the cauliflower florets and garlic cloves in the middle of the foil. Bake for 55–60 minutes or until the cauliflower is fork tender. Place the roasted cauliflower and garlic in a large mixing bowl. Stir in the Romano cheese and season with additional salt and pepper if desired. Serve the mashed cauliflower and garnish with chopped green onions.